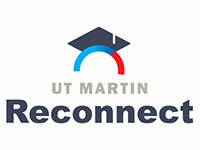 As many of you have already heard, UT Martin is transitioning our Learning Management System (LMS) from Blackboard to Canvas during Spring 2017. To assist in this transition, I would like to notify you of an opportunity you have to self-enroll into a free sample Canvas course titled "Online Orientation to Canvas for UTM Students"
If you are not already logged into Canvas, this link will take you to the login page. From there, use your UTM username and password to login, and you're done. You will have successfully self-enrolled in the course and can begin looking around.